I don't endorse gambling, but I must admit there are some nice-looking casinos throughout the country. 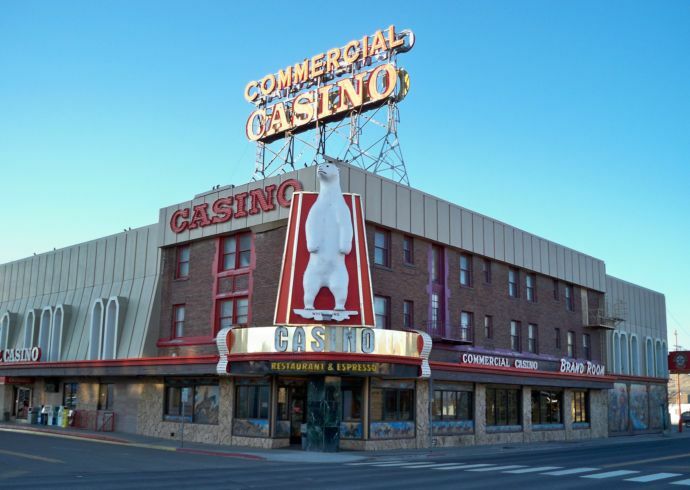 The Commercial Casino from Elko, Nevada is one of the coolest I've ever seen. 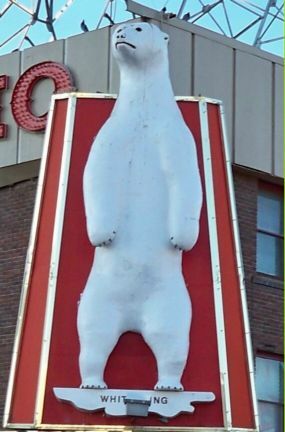 It has my favorite wild animal (and namesake) the polar bear above both entrances. 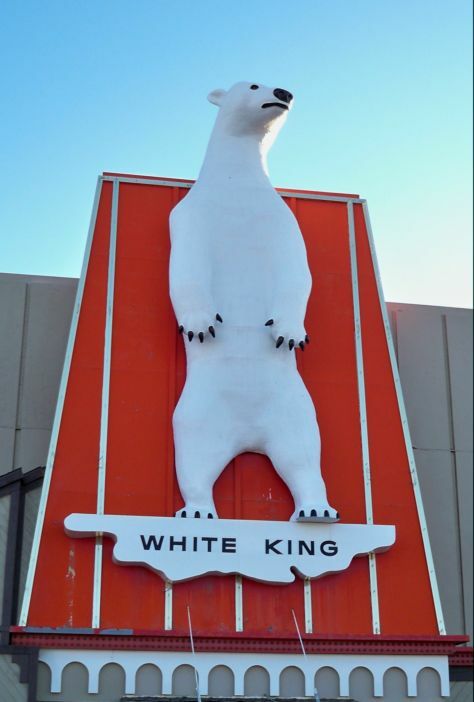 These polar bears are HUGE, and named "White King". I took these photos on my way out of town on March 28, 2009.